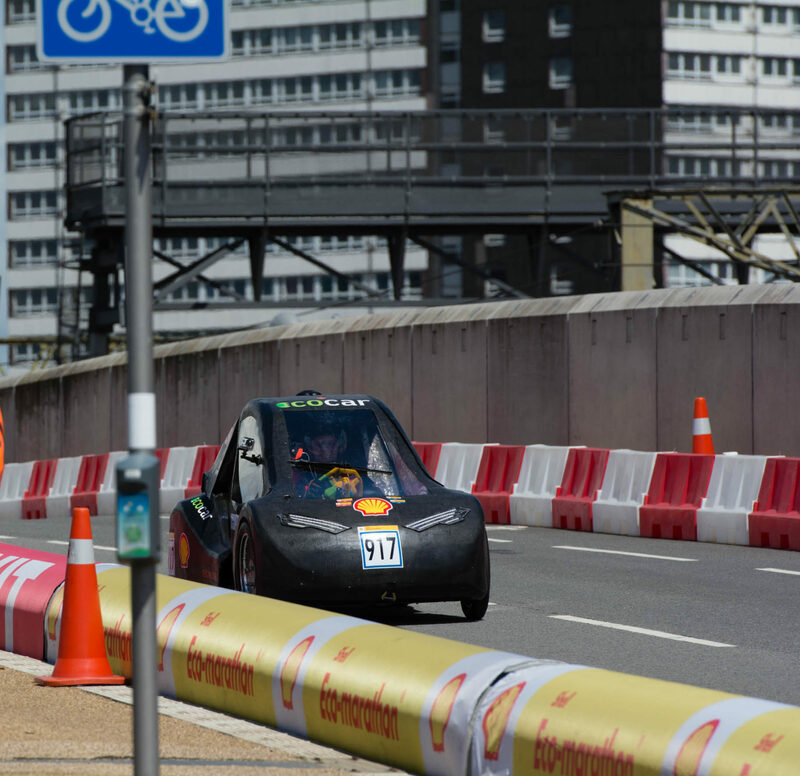 Designed to be raced in the “Urban Concept” category at the Shell Eco-Marathon, our first generation vehicle, affectionately named Steve, is a zero emission hydrogen fuel cell vehicle modeled after the traditional sports coupe design. Although conventional in appearance, the construction of this fuel efficient vehicle emphasizes the use of local and sustainable materials and components to limit its overall environmental impact. The unique chassis design was a result of collaboration with Motive Industries, a Calgary based automotive engineering design company. Hemp fiber provides the structure for the vehicle’s frame. Hemp is naturally grown, fully sustainable, and contains little resin (resin is often toxic). It is very light weight and requires low energy input to manufacture.